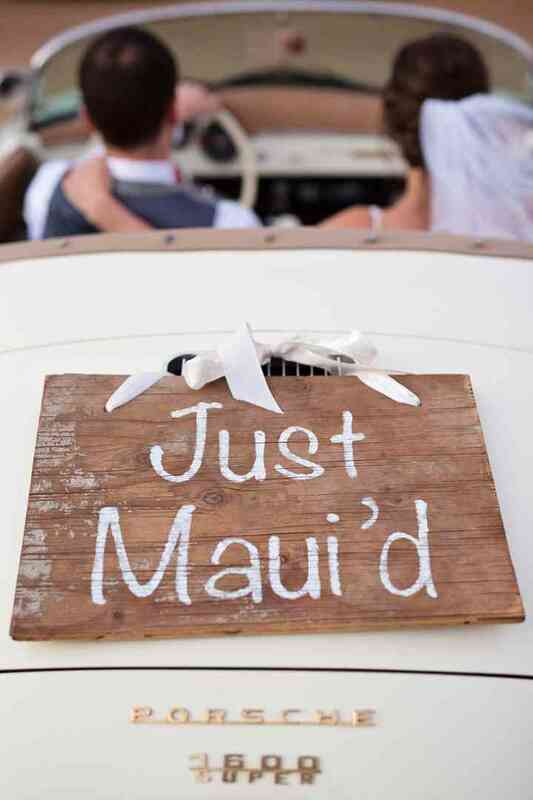 25 Awesome Beach Wedding Ideas | Wedding Ideas ARE YOU A VENDOR? If you’re headed to the water for your wedding, we have a few ideas that’ll take your big day above and beyond. 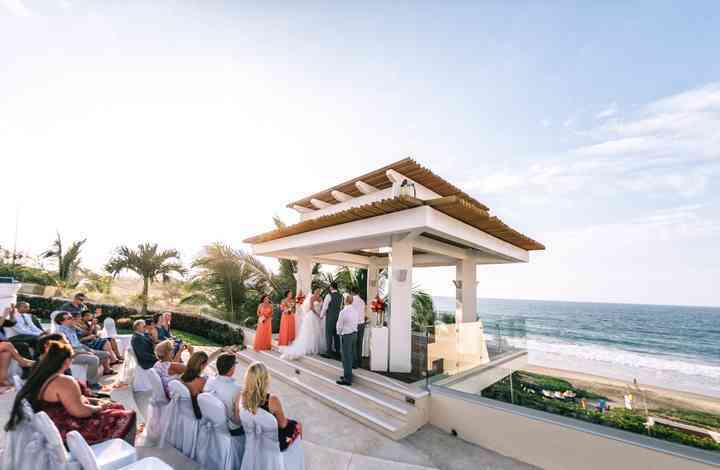 Make the most of your surroundings and say your “I dos” by the water! With such a beautiful backdrop you won’t need to invest in any extra wedding decor for your altar. Want to give your ceremony a little extra somethin’ somethin’? 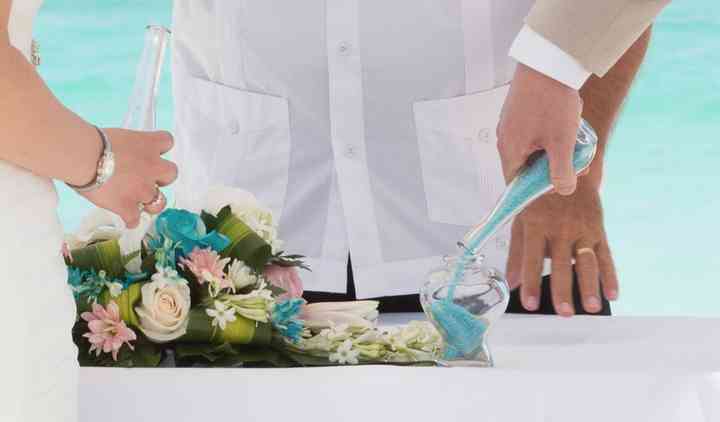 Consider incorporating a sand ceremony. This well-loved wedding ritual with leave you with a keepsake that’ll bring you back to the sand and surf every time you look at it. Every beachy bride needs a stunning gown that won’t weigh her down as she walks down the aisle. Instead of going with a poofy ball gown or a frock with a ten-foot train, consider something a little more summery - like this dreamy two piece number. 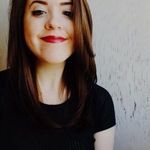 What’s every wannabe mermaid’s favourite hair trend? 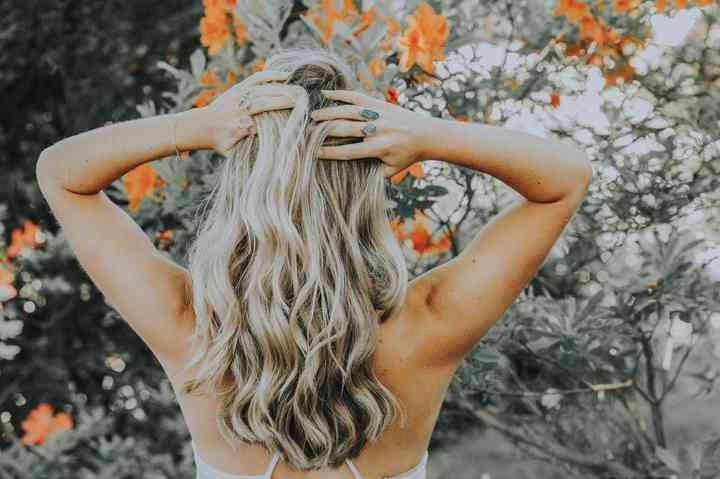 Beachy waves, of course! Whether you’re rocking a lob or hip-length hair, this style is bound to look amazing on you. 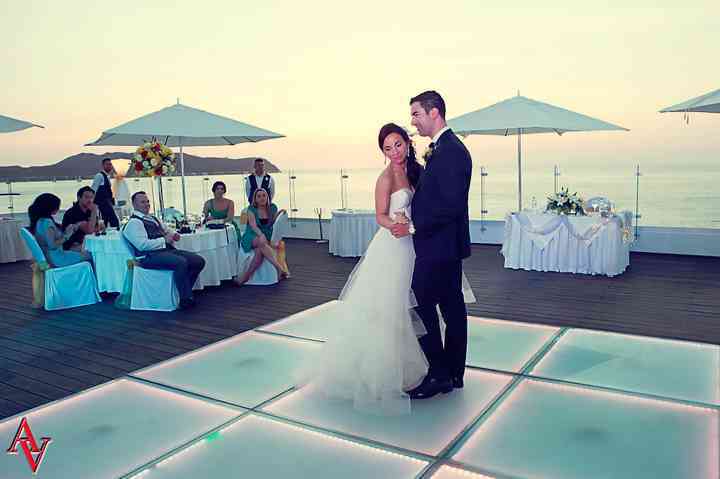 Use the waves to your advantage and stage your wedding photoshoot by the water. Don’t be afraid to get a little wet! Don’t go inside when it’s time to eat. 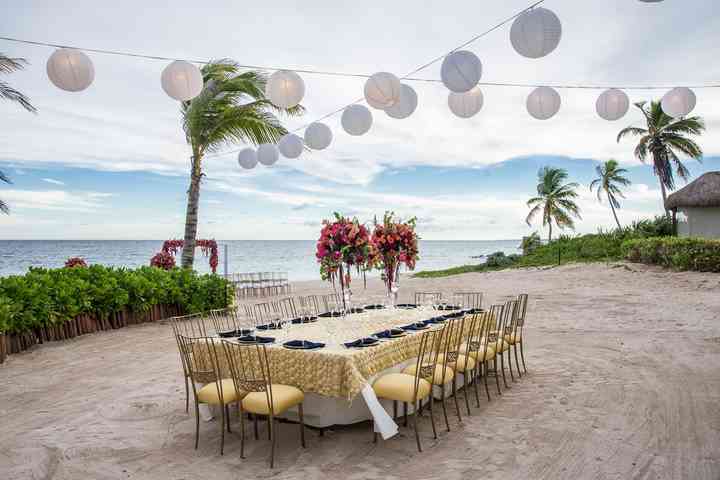 Capitalize on the good weather and treat your guests to an outdoor feast right on the beach, instead. Since you’re hosting your big day by the water, there’s a good chance you’ll be able to get your hands on some top notch seafood. 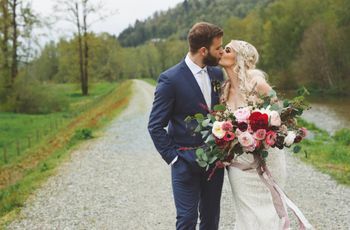 Shrimp scampi, ceviche, lobster mac ‘n’ cheese bites and crab cakes are all excellent options worthy of your wedding menu. 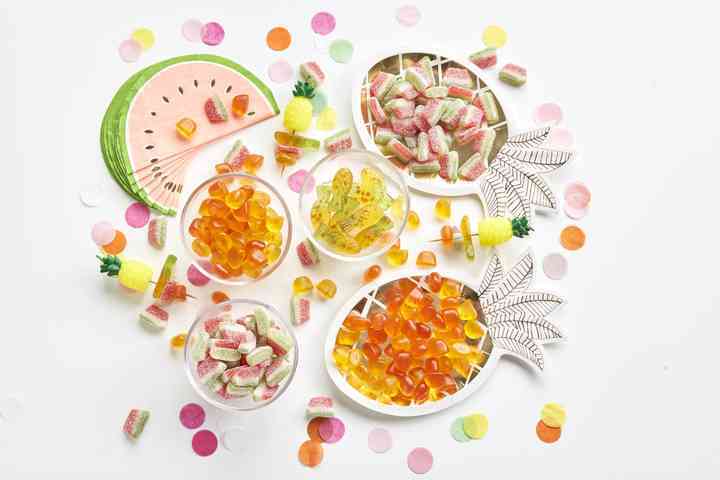 Give your sweet table a dose of tropical flavour by adding pineapple and watermelon gummies to the mix. If you offer take home bags, your treats can serve as wedding favours, as well. Want a magical backdrop for your first dance? Hit the floor when the sun begins to set. 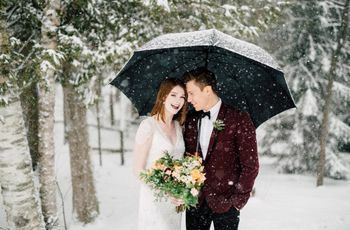 Not only will it be uber romantic, you’ll probably get some amazing shots for your wedding album, too (score!). Set your table apart from your guests’ by fancying it up with some extra foliage and a few comfy pillows in place of chairs. You’ll literally have the best seats on the beach. Want your guests to know your wedding theme from the get-go? 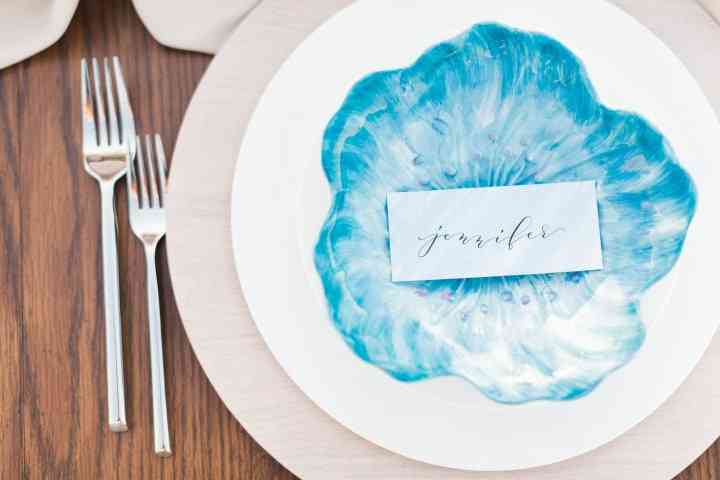 Use ocean-inspired stationery for your invitations. 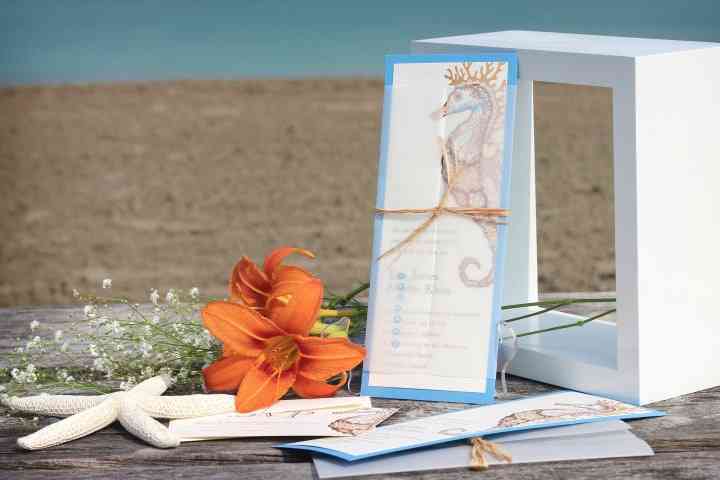 Don’t forget to order similar ceremony programs, menu cards and place cards. 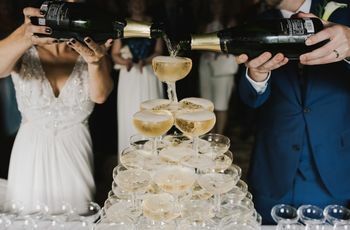 If the forecast is calling for a heatwave on your wedding day, your guests are going to require some thirst-quenching refreshments. 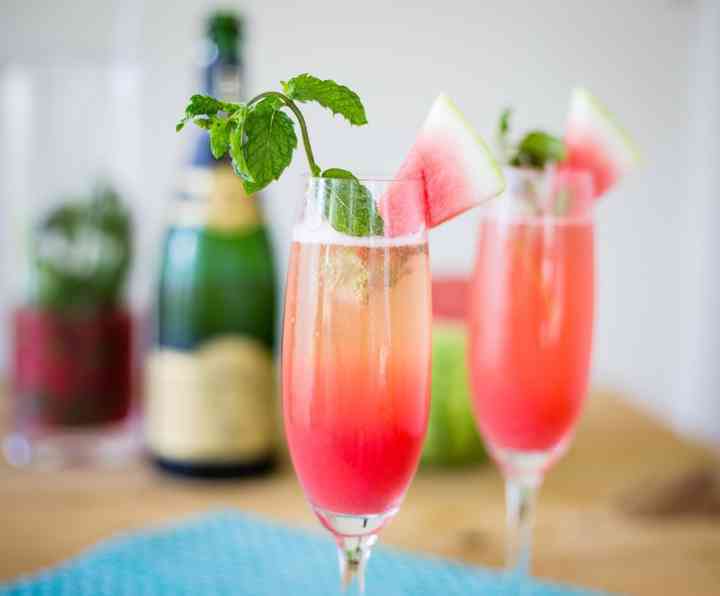 While you should have some non-alcoholic options on hand, fruity tropical cocktails are pretty much mandatory. 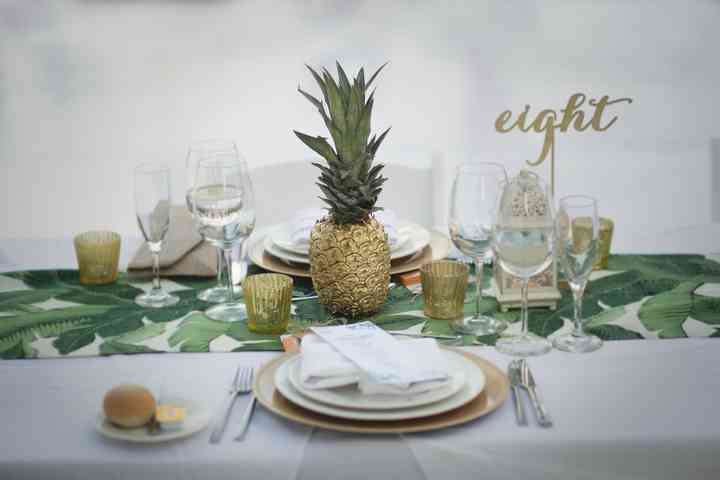 Give a shout out to everyone’s favourite tropical fruit by replacing plain ‘ol floral centrepieces with pineapples. If you want to go the extra mile, paint them to match your colour scheme. Ditch the floor-length frocks! Ask your besties to wear knee-length dresses so that they stay cool and comfortable. Beach weddings don’t require paper bunting or fairy lights - they need strands of starfish. P.S. these guys also make for great aisle markers and boutonnieres. 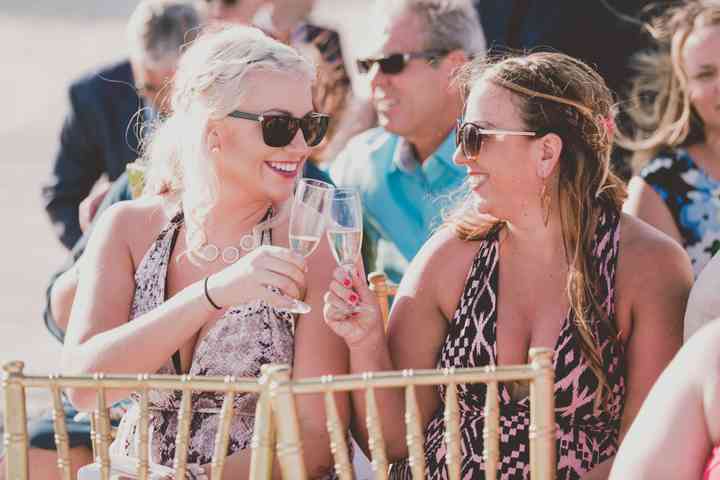 Want to do a little bonding with your wedding party before or after your big day? Head down to the water and try to catch some waves. Don’t forget to bring a surf instructor along if you’ve got newbies in your group! 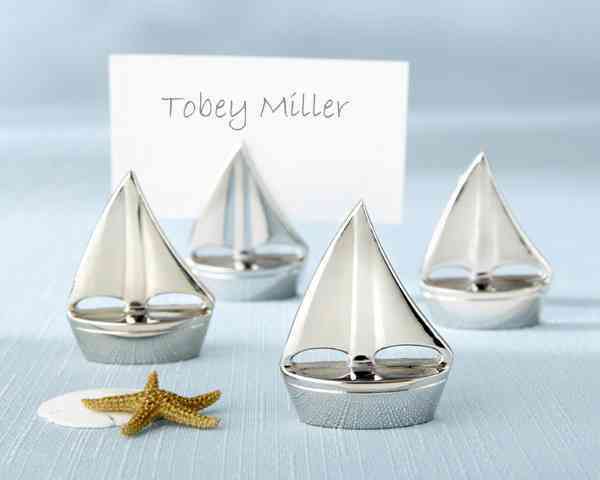 Give your wedding some nautical flair by displaying your place cards on itty bitty sail boats. 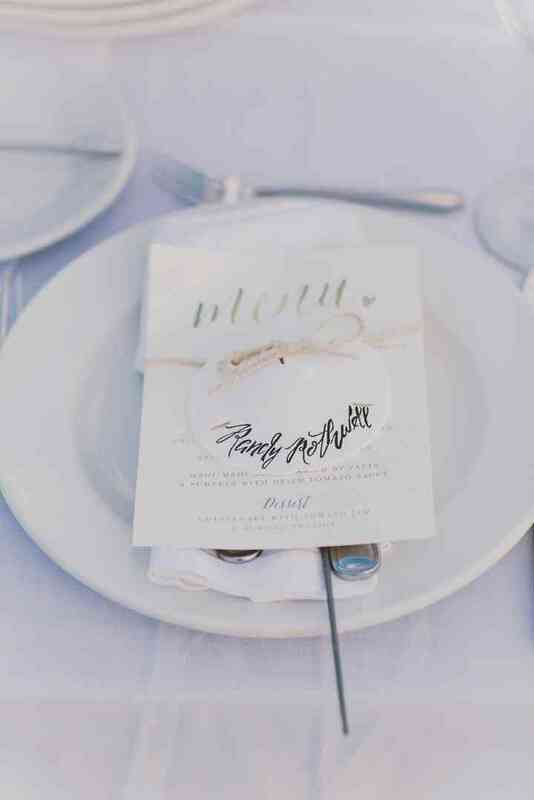 ….or swap paper cards with sand dollars for effortlessly beachy place settings. Your guests will definitely want to bring them home at the end of the night. Speaking of place settings, give yours a little island flavour by adding watercolour images of your favourite tropical flora and fauna. 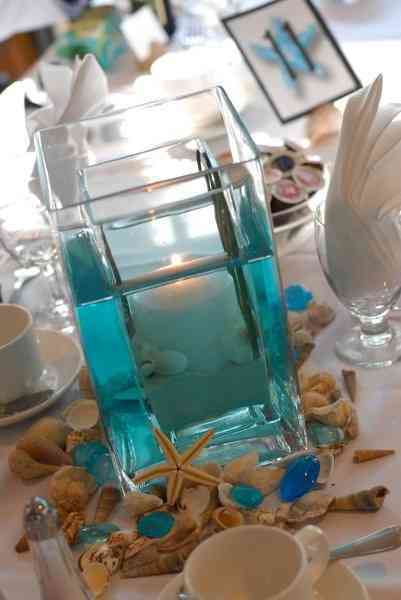 Sprinkle everything from your aisle to your reception tables with shells. Not only does this look amazing, but it’s free if you collect them yourselves. 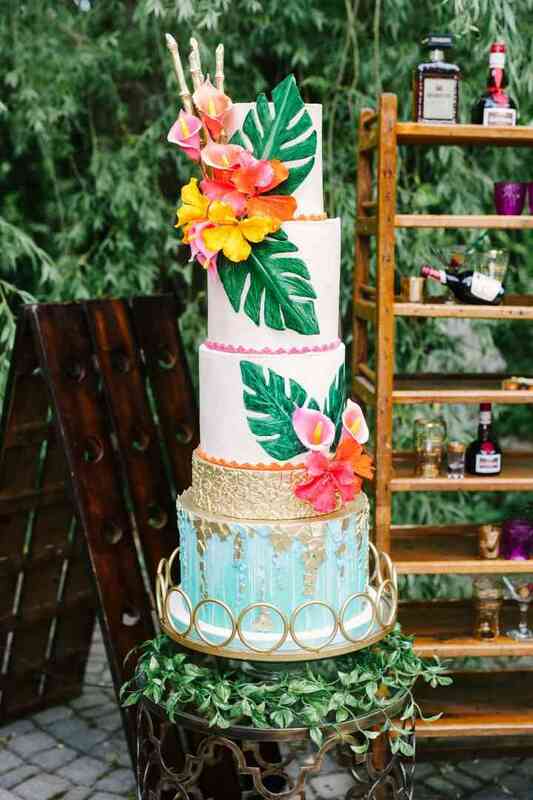 Want your wedding cake to be just a touch tropical? Ask your baker to add some palm leaves to your sweet table’s star dessert. 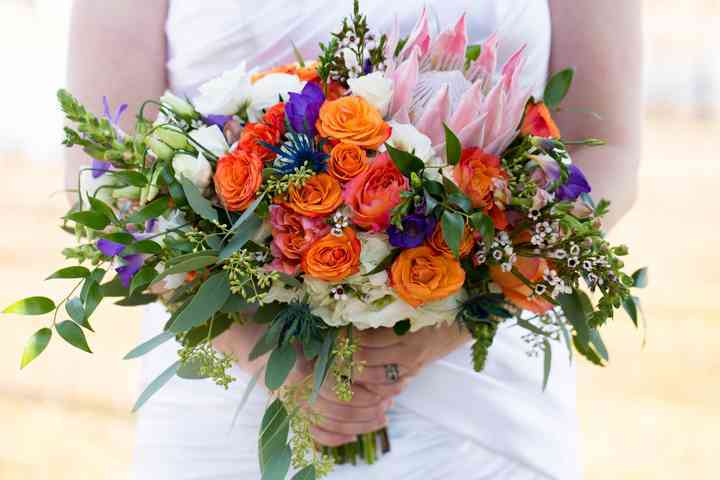 You want your bridal bouquet to stand out from the sand and surf, so instead of going with an all-white arrangement, use some bright tropical blooms to make it pop. 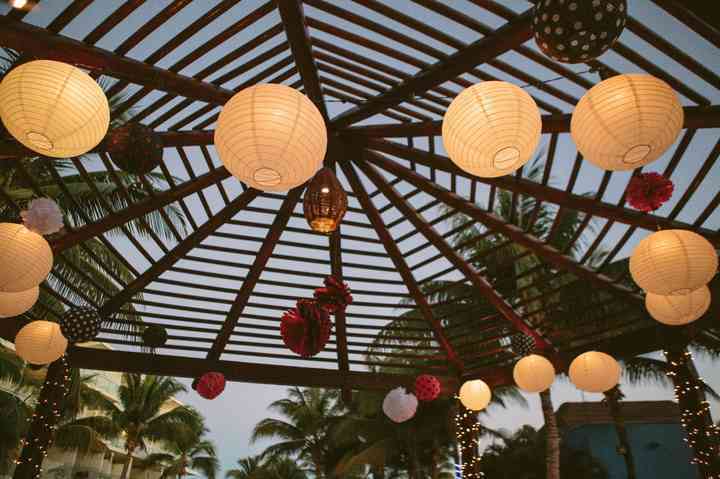 Illuminate your space with the help of a few glowing paper lanterns. These look great both inside and out, so use them wherever possible. One big faux pas for beach events is requesting that your guests don black tie attire. 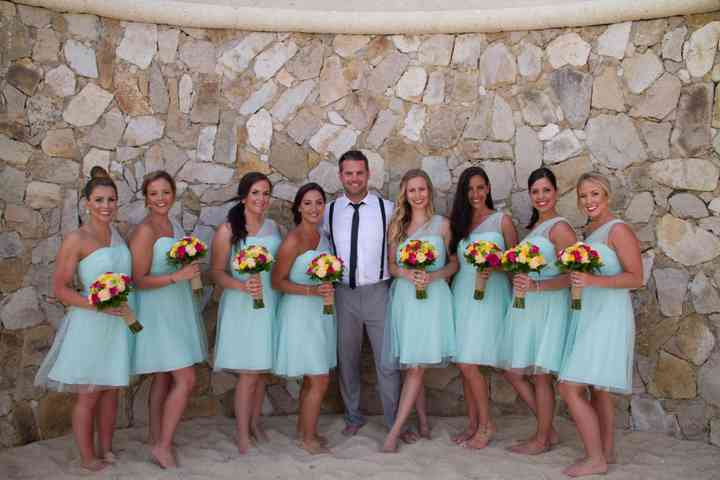 This style of wedding calls for more relaxed garb, so ask them to dress resort casual or beach formal. Forget about horse drawn carriages and vintage pickup trucks! Drive off into the sunset in a classy convertible getaway car. 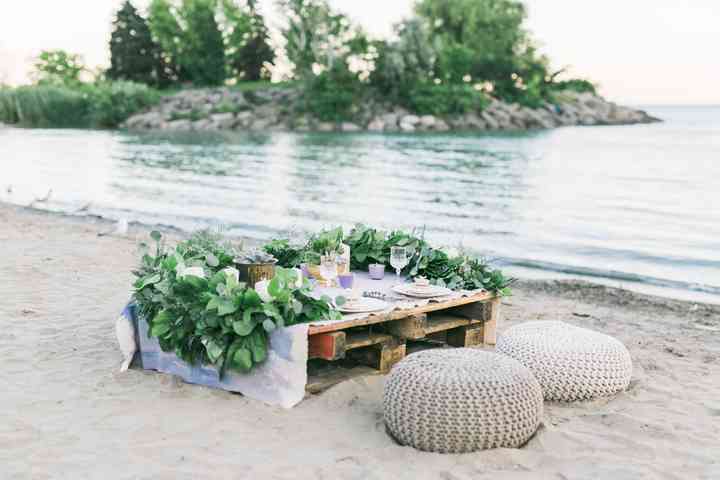 Here are 25 of our favourite ideas for a beach wedding. 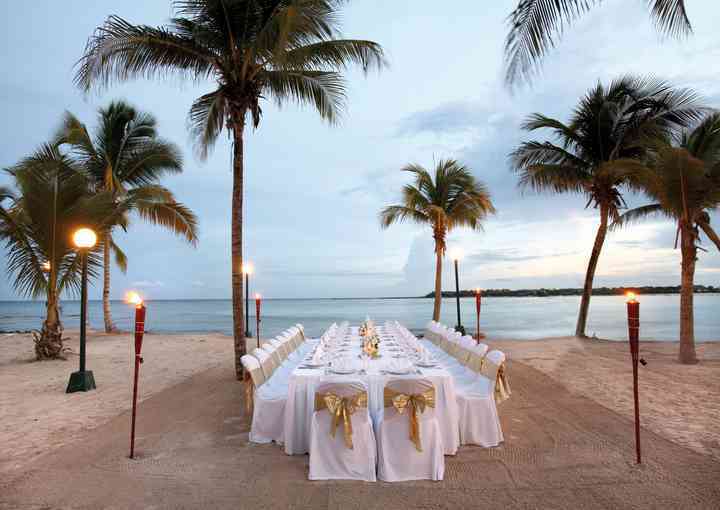 Planning on hosting your wedding on the beach? 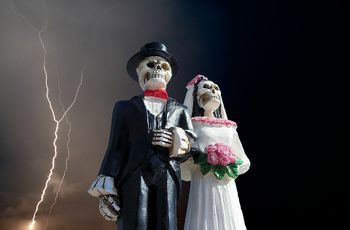 Whether you’re headed to the shores of Lake Ontario to tie the knot or jet setting to Mexico for a destination wedding, we’ve got a few ideas for your beach wedding. 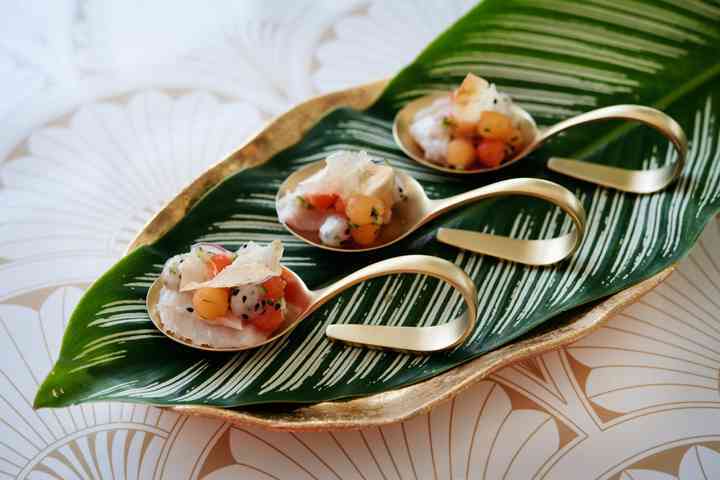 From tropical place settings to beach-worthy outfit ideas, this gallery has it all.